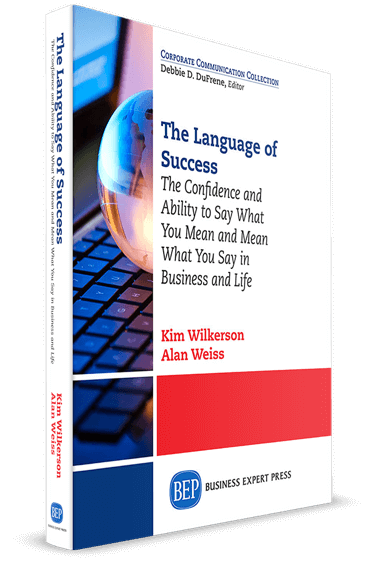 With this book, written by Kim Wilkerson and Alan Weiss, you will learn how to harness the power of profitable language in all aspects of your life and your work. Achieve excellence and communicate with confidence. Featuring a wide range of ready-to-execute examples, this must-have book for business leaders helps you dig deeper with skilled, probing questions that reveal underlying opportunities and problems that professionals struggle with in any type of organization. Put an end to the “should-have-saids” in your communications. And from cover to cover, explore how you can better leverage field-tested ways to communicate with power and clarity to grow your business, attract more clients, and retain your best people so you and your team can thrive.